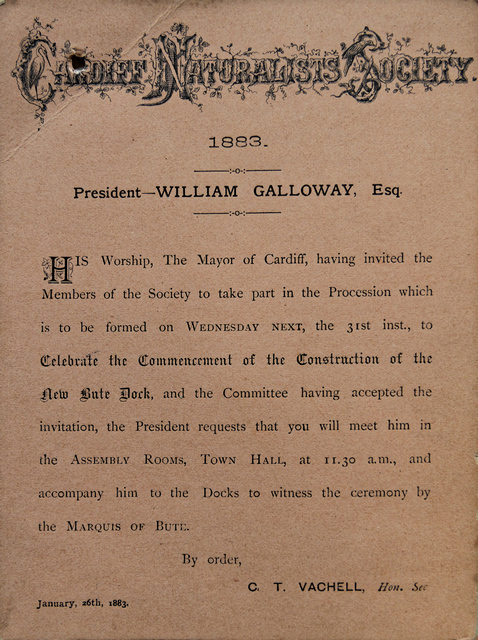 Sir William Galloway died in his 87th year on Wednesday, 11th November, 1927. 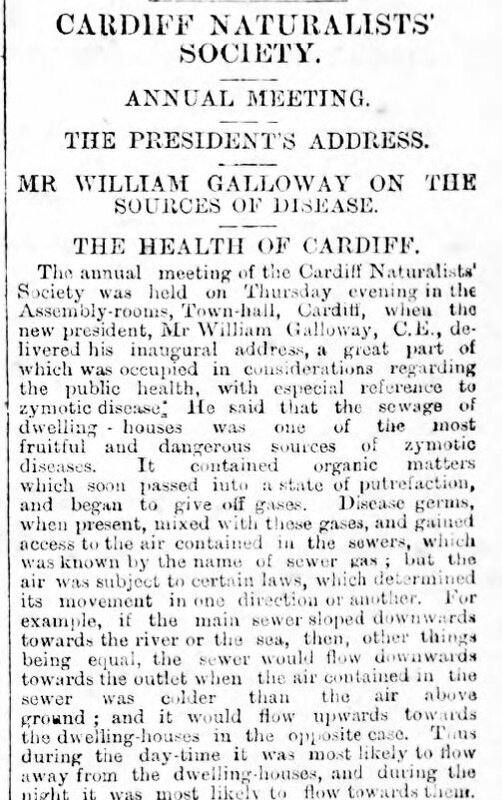 His connection with the Cardiff Naturalists' Society extended over 46 years, and was of somewhat unusual character. 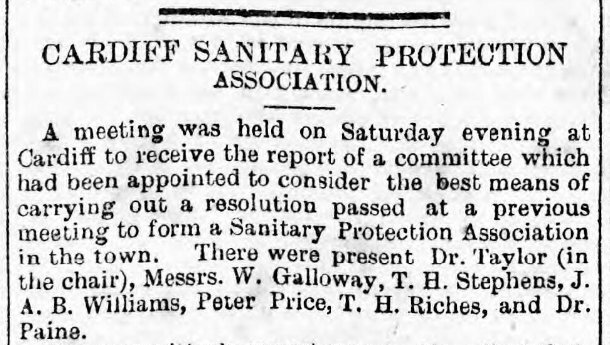 Elected a member in 1881, he was given a seat on the Council in 1882, and occupied the Presidential chair in 1883. Between 1882 and 1889 he gave five addresses on subjects ranging from Explosions in Collieries to Flying Fish and, after that, took no active part in the Society's affairs until, in 1927, he read a paper upon Capillary Action to the Biological and Geological Section. 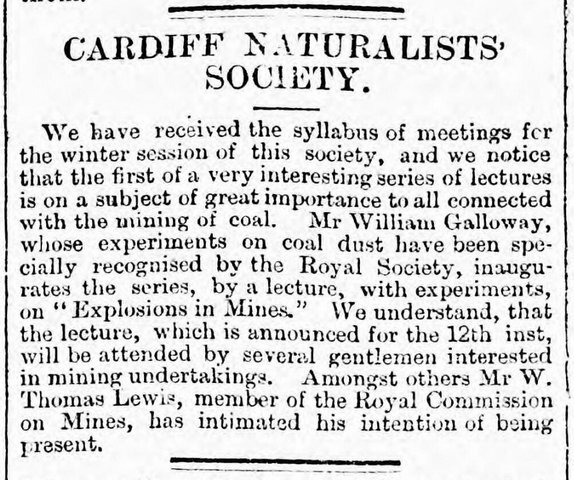 Galloway came to South Wales in 1874 as an Assistant Inspector of Mines, and, during the course of his official duties, came to the conclusion that coal-dust, not gas, was responsible for the violence of colliery explosions. His convictions were increased as a result of experimental work, but his ideas were not favourably received and, eventually, in order to gain freedom of action, he gave up his post and set up as a consulting engineer. For about 10 years he occupied the position of Professor of Mining in the University College at Cardiff and, for a long period, acted as external examiner in mining for the Universities of Wales and Birmingham he was also responsible for the examination of certain grades of mine officials under the County Councils of Glamorgan and Monmouthshire. 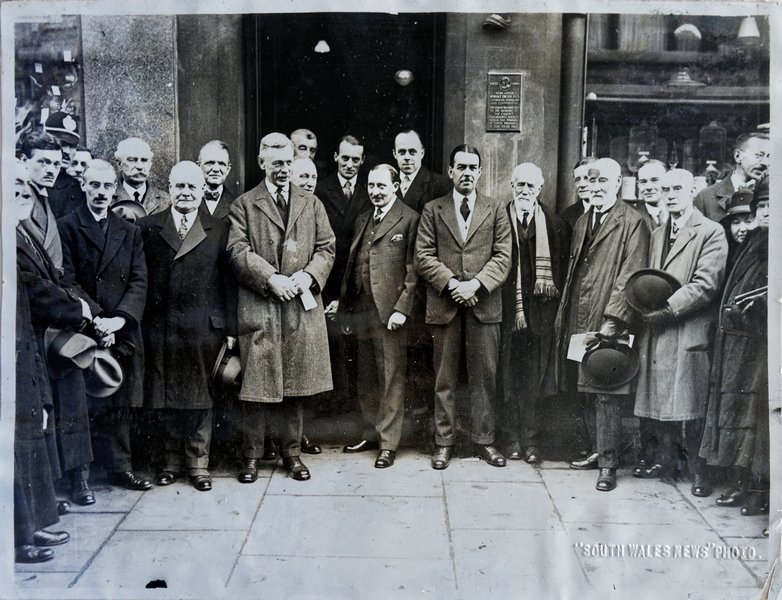 He was actively connected with the South Wales Institute of Engineers (of which he became a member in 1881, and President in 1912), and was also a member and occupied the Presidential chair of the Institution of Mining Engineers. Continuing, in spite of indifference and even opposition, to develop his theory relating to colliery explosions, he showed that, if coal dust is mixed with a certain amount of stone dust, it will not explode, and advocated the distribution of stone dust in roadways and other places in mines where coal dust was likely to accumulate. 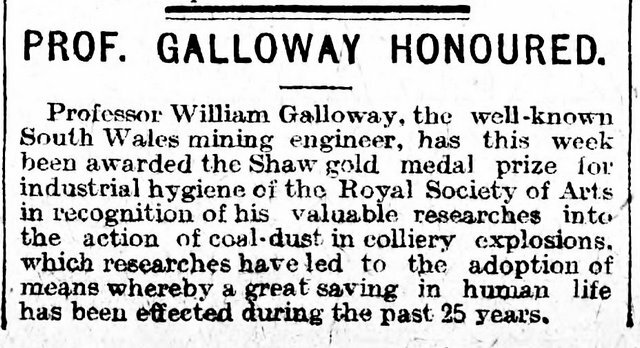 This was in 1900, but nearly 10 more years elapsed before Galloway had the satisfaction of seeing his work acknowledged, and his method at first tried, and then universally adopted as the only convenient means at present known of reducing the chances and minimising the effects of explosions in coal mines. 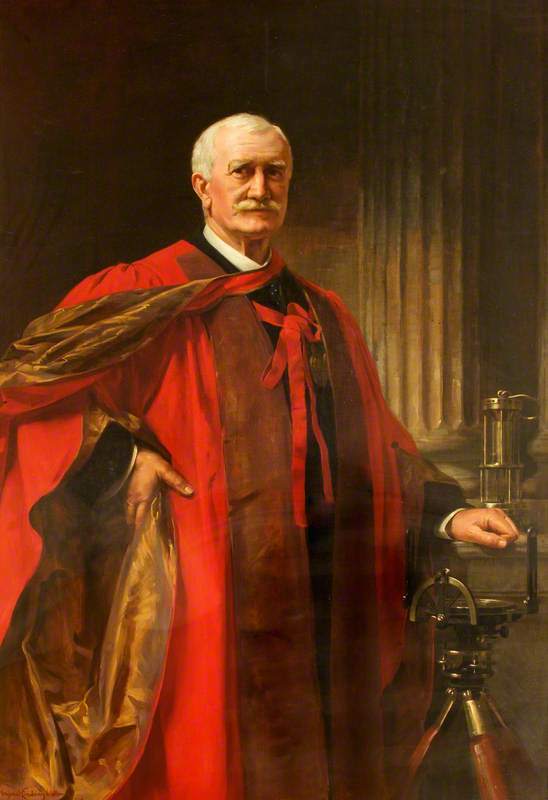 Although recognition was tardy, when honours came they were freely bestowed, and Galloway received the degree of Doctor of Science from the University of Wales, the Shaw Gold Medal of the Royal Society of Arts, his portrait by Miss Margaret Lindsay Williams, from the Monmouthshire and South Wales Coal Owners' Association (the portrait now hangs in the Council room at the South Wales Institute of Engineers), and a gold medal from the South Wales Institute of Engineers. He was knighted in 1924, when 83 years of age. Of a quiet and retiring disposition, a worker rather than a publicist, Galloway was but little known except to those with whom he came into contact in connection with his researches and their application; but his name will be remembered, like that of Sir Humphrey Davy, who interested himself in another aspect of colliery explosions, as one who, discovering something of great service to his fellow men, freely placed at their disposal the results of his labours. F. J. N.